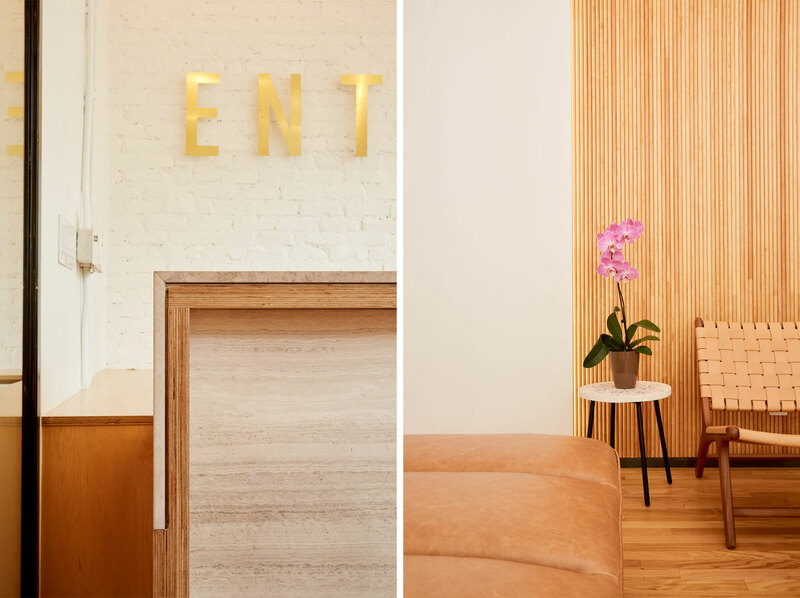 Entiere Dermatology is an 1,800 sf clinic located in the Flat Iron District. 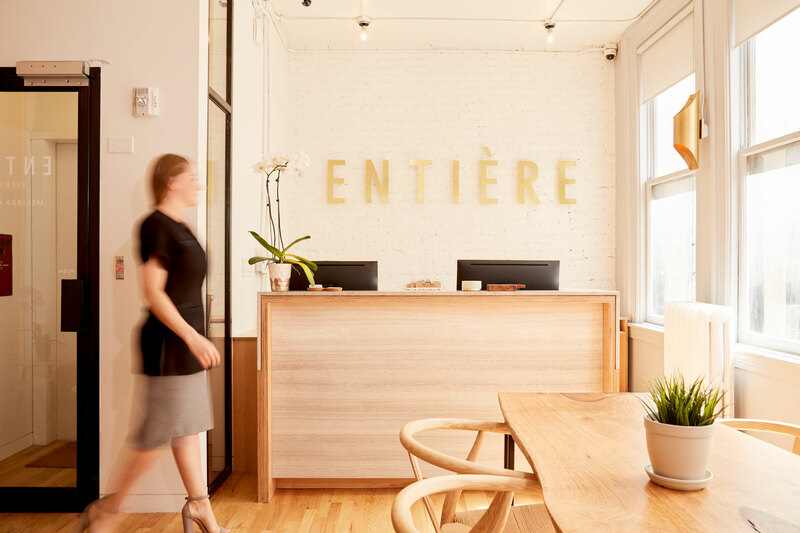 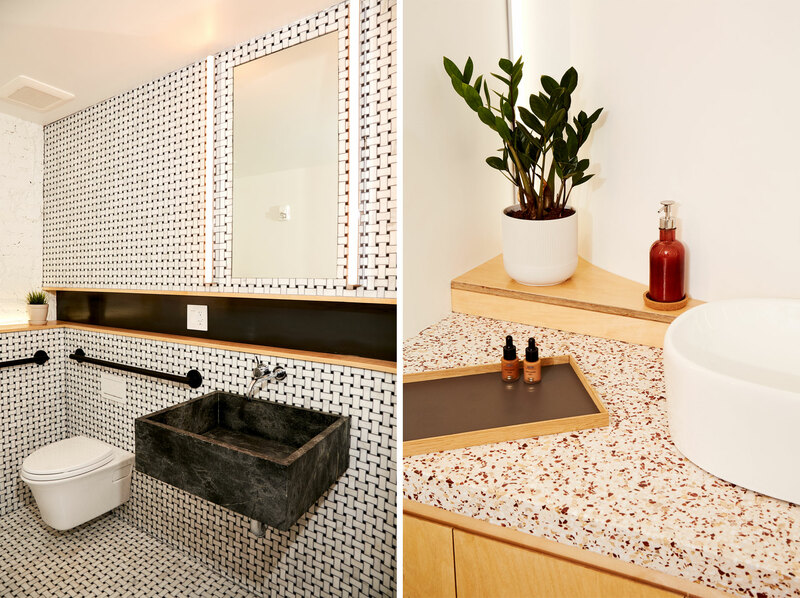 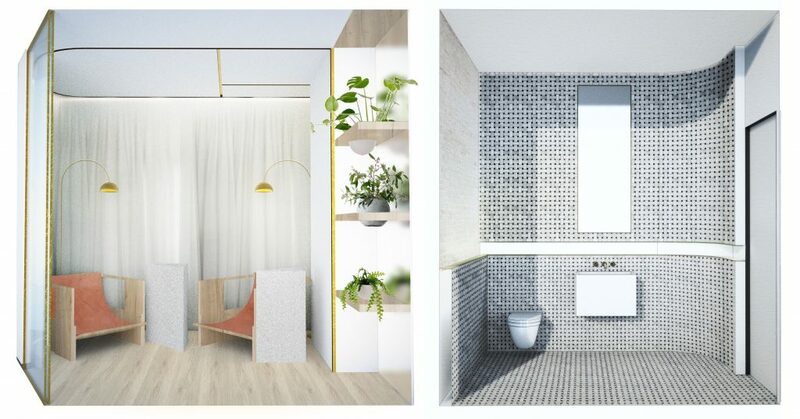 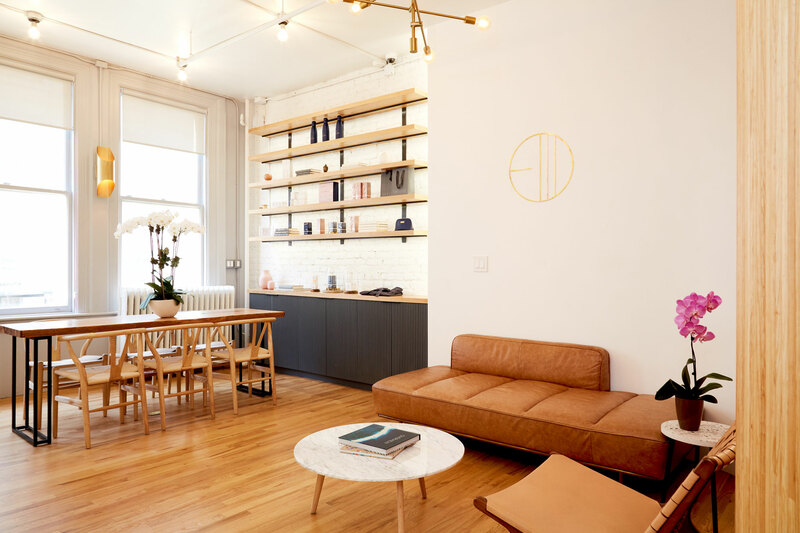 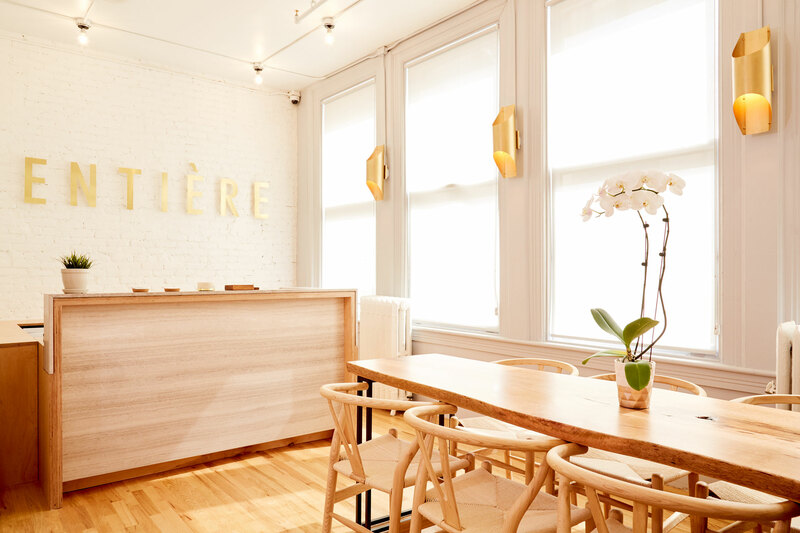 Envisioned as a new dermatological experience and design think tank for skin health, Entière attempts to make a statement against the sterile clinic design prevalent in competing practices. 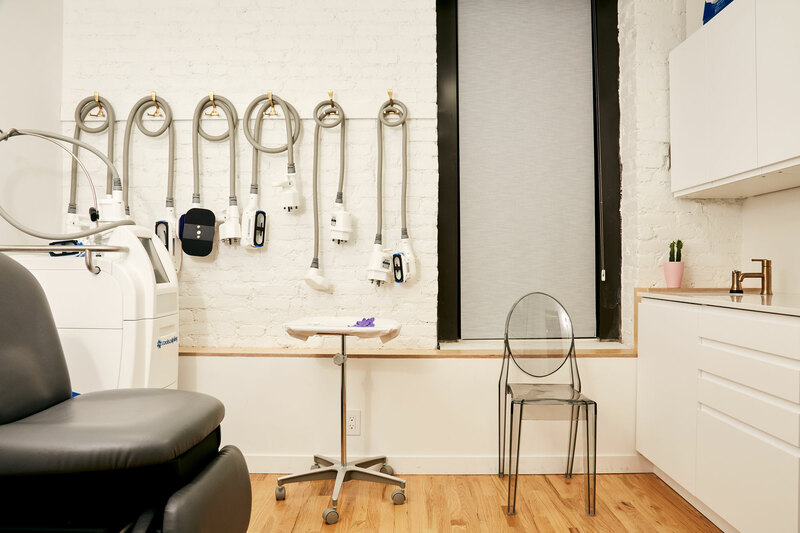 With an emphasis on creating a skin care experience that is personalized and informative, we have crafted a space that balances a comfortable environment with the care and hygiene requirements of a modern dermatological clinic. 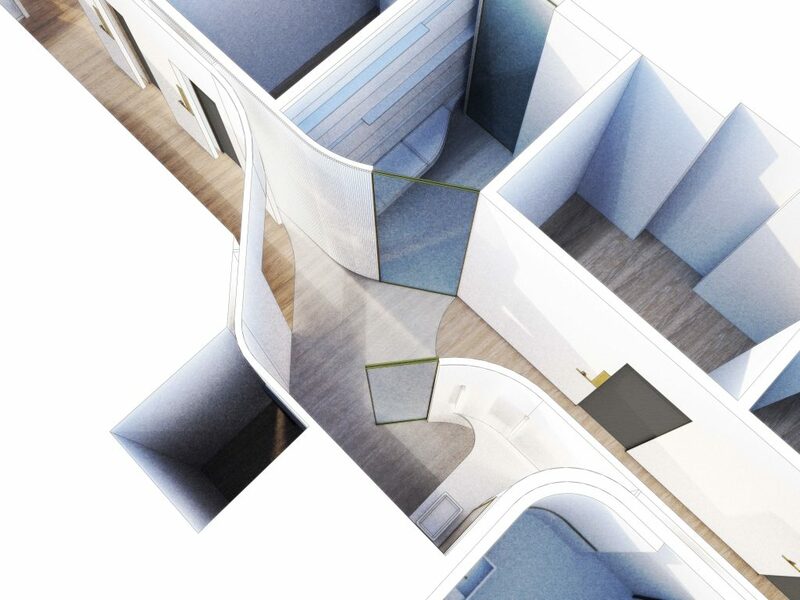 The design consists of a series of walls which peel away from one another to create interstitial spaces and treatment rooms. 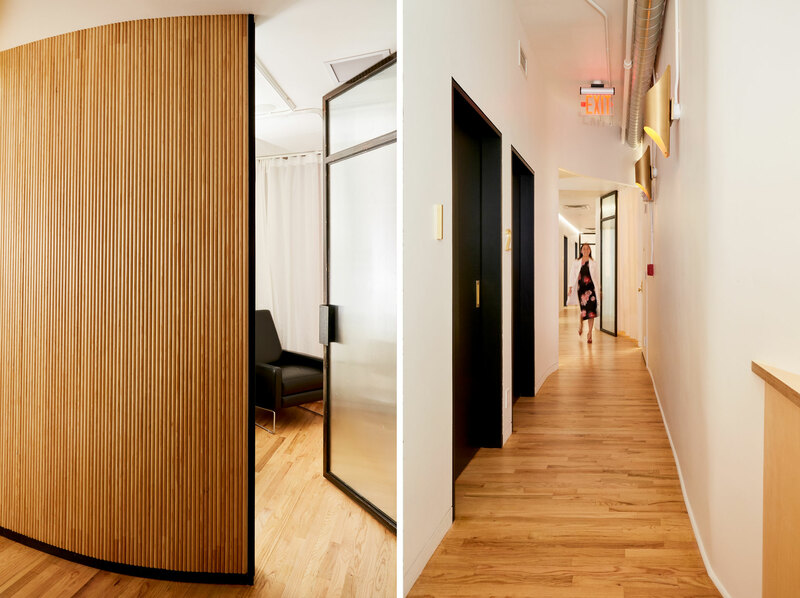 The experience of moving from lobby to treatment room becomes the experience of traversing a series of small spaces with unique identities in and of themselves. 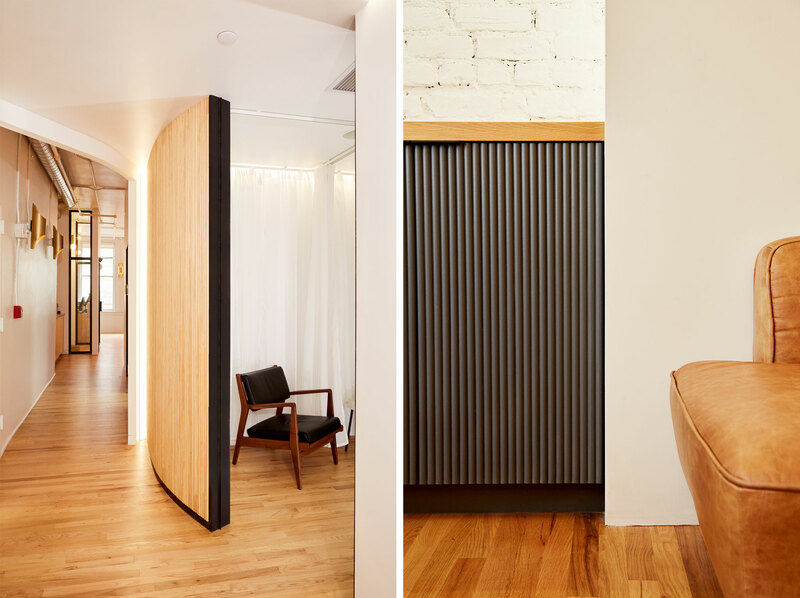 This series of walls starts in the waiting room where they curve and peel away behind a custom banquet defining both a space for product shelving and signage. 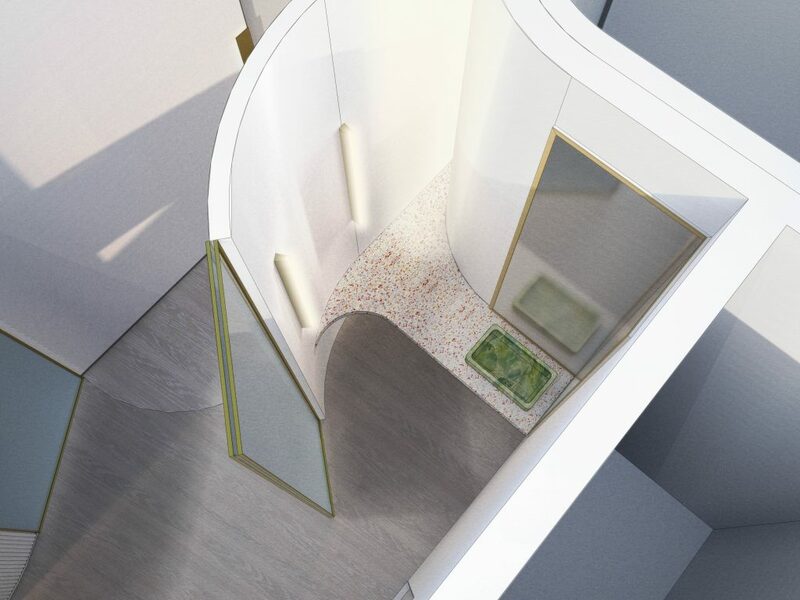 Continuing deeper into the space, the wall curves in front of the hall, creating a threshold to the more private treatment room areas. 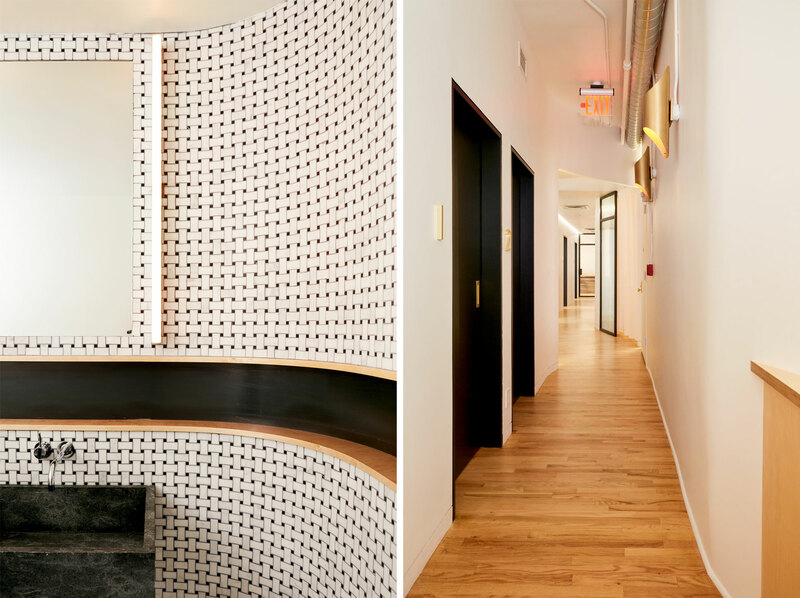 A series of LED light coves surround the entry doors to the treatment rooms. 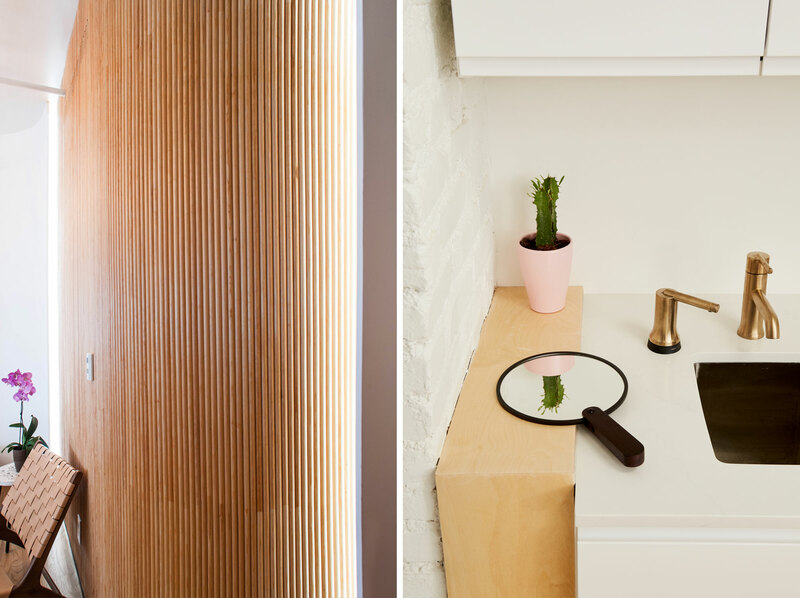 These again emphasize the peeling away of wall surfaces, giving the impression of passing through a series of thin wall layers rather than through a typical room entry.